Hypothermia might seem like an emergency the affects people living in the frigid winters of northerly locations, like Canada or Russia. But anyone can experience hypothermia if they don’t wear clothing that is suitable for cold weather conditions. But what is hypothermia and how many people are affected by it each year? Here’s what you should know about hypothermia and how to prevent it from occurring this winter season. Hypothermia is a type of health emergency that occurs when the body’s temperature falls below 95 degrees Fahrenheit. This happens when your body loses heat too quickly, faster than your body can create heat to combat frigid external temperatures. As such, your systems begin to shut down as your body tries to warm itself up. Hypothermia kills an estimated 1,500 people each year, but anyone can suffer the ill effects of hypothermia. People most at risk are those with weakened immune systems, including the very young and old. Those who suffer from dementia may also be at-risk because of confusion often associated with the disease. Other at-risk individuals include those suffering from alcohol and drug use which enlarges blood vessels, skews judgment, and prevents shivering in some people. If you think you’re at risk for hypothermia, contact your healthcare provider for more information. How do I prevent hypothermia from occurring? 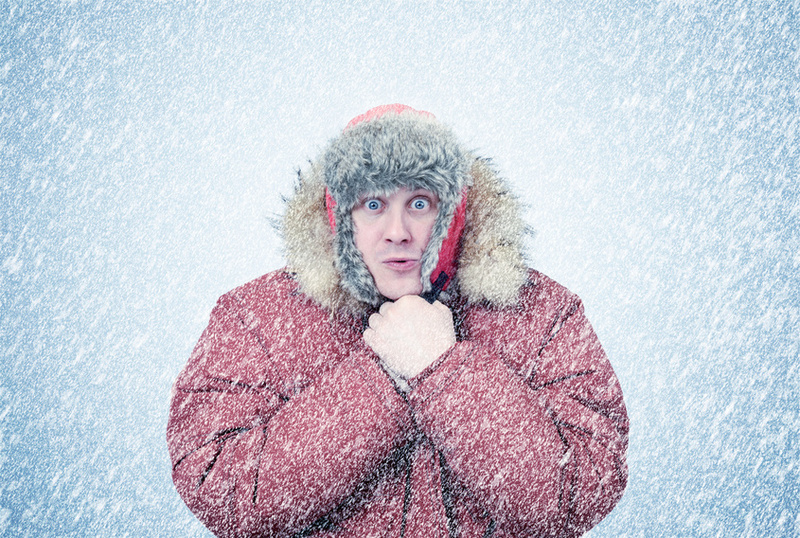 The best way to stop hypothermia is by dressing warmly when you venture outdoors or avoid cold conditions altogether. You should take special care of loved ones who are at a higher risk factor for hypothermia. Wear clothing like warm wool or fleece instead of cotton and avoid prolonged exposure to cold temperatures, especially if you’re an avid outdoorsman. Before you leave the home, alert loved ones about your destination and identify urgent care centers nearby for the best healthcare. Luckily, 90% of urgent care centers have a wait-time of under 30 minutes for prompt care. If you or a loved one begin to suffer the ill health effects of hypothermia, you need to get them to a warm environment right away and contact emergency health services for the proper healthcare treatment. For any winter-weather associated injuries or illnesses, don’t hesitate to visit Care Station Medical Group for one of the top urgent care centers in New Jersey.